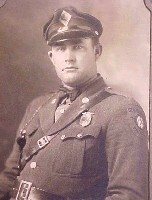 All patrolmen were assigned individual vehicles in 1937, and during the same year the legislature authorized a statewide radio system for the purpose of coordinating operations and improving the efficiency of the Highway Patrol Numerous executive, legislative, and administrative changes have occurred since the Patrol's creation. The duties and responsibilities have varied, different ranks have been designated, and the organizational structure has been modified to improve efficiency. The Patrol, a semi-military organization, currently consists of five sections, each having specific duties and responsibilities. These sections are: Administrative Services; Technical Support Unit; Office of Professional Standards; Training; and Field Operations, the enforcement arm of the Patrol.